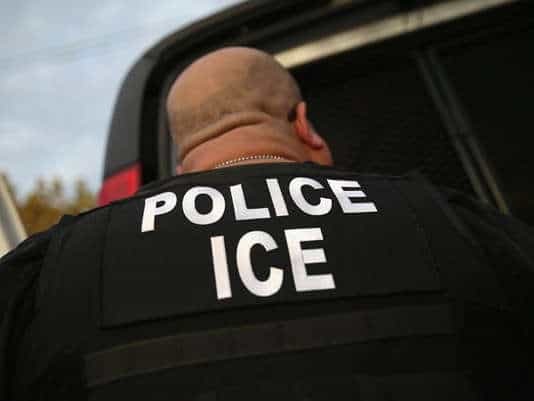 I recently wrote explaining how an Immigration and Customs Enforcement (ICE) Hold affects undocumented people who are in criminal proceedings. It is a simple concept, if an undocumented (politically correct way of saying illegal) person is booked into jail for a crime, ICE can place a hold on that person. A hold is a detainer that gives ICE 48 hours to pick up the individual and transfer them into ICE custody and be placed in deportation proceedings. In the past, if an undocumented person was arrested for a crime, they had the right to post bond and could be free while their case is pending. If they were then found guilty, ICE then had the choice to place an ICE hold on them and take them into deportation proceedings. Since the new Presidential Administration has taken over there has been a big shift in policy regarding ICE holds that place undocumented people at a huge disadvantage. I would say that 90% of my clientele are Hispanic and majority of them undocumented. What use to be a straightforward process of bonding out your family member has now turned into a lengthy nightmare with in my opinion various constitutional rights being violated. For the sake of my example let’s say my client is called “Alex” and he is undocumented. Let’s say Alex gets pulled over for DWI and goes in front of a judge and is given a $500 bond. Prior to the Trump Administration, Alex’s family or friends could pay that bond and he would be processed out no problem. However, recently due to new leadership in the Department of Homeland Security (DHS) and in the White House, ICE has been a lot more involved with criminal cases. Under the new policy, Alex’s family can still pay that $500 bond, however instead of being released and handed over to his family he would be released into ICE custody. ICE would then transfer him to a Federal Detention Center and begin deportation proceedings against him. So not only does the family lose their money they paid for bond, Alex now has two cases against him! The original DWI and the Immigration case. Under the Immigration and Nationality Act (INA), an undocumented person is eligible for Immigration bond if they qualify. An Immigration Bond hearing is very similar to a Criminal Bond hearing in that the Judge listens to the pro’s and con’s of releasing Alex out on bond. Where it gets extremely unfair and prejudicial in my opinion is that the Immigration Judge can consider the pending DWI charge and is free to ask Alex about the incident, which is a HUGE constitutional violation of the 5th amendment, the right to not self-incriminate and the idea of innocent until proven guilty. So not only does DHS use the pending DWI against you even though you haven’t been found guilty of it yet, the Judge is free to ask questions concerning the DWI that can later be used against you in the criminal case. So let’s believe that Alex had a good lawyer and despite the unfair Immigration Bond hearing he still gets a bond in the amount of $10,000. Alex’s family now must pay $10,000 bond however, in the famous words of Billy Mays, “wait, it gets better!”. After Alex’s family pays the bond, ICE instead of releasing him to the family, ICE now takes him back to the original jail to finish out his criminal case and places ANOTHER ICE hold on him. Therefore, Alex is back in jail and cannot bond out because ICE has a hold on him. This gives Alex the only option of fighting his criminal case while being stuck in jail. The reason ICE takes him back to Criminal jail is because they claim he still has a case pending therefore they have jurisdiction to take him. So, after spending $10,500 and still technically being innocent, Alex is stuck in jail until his criminal case is over. This unfortunately causes many people frustration of being in jail for many months so they plead guilty just to get it all over with. Once they plead guilty, ICE is right there to take them back to Immigration detention. It used to be that ICE wouldn’t get involved unless it was a serious offense and you were convicted and found guilty. Now due to the new policy by DHS, ICE is exercising their power much more which is leading to unfair court proceedings for undocumented people and an extreme overcrowding of jails. So, we are left with the question… What should we do? As I tell everyone you should absolutely consult with an experienced lawyer so they can explain the process and the solutions to you. Nothing is more important than your freedom so it’s worth to talk to an experienced immigration and criminal defense attorney to help you.